Responses to HMRC Consultation: 'Making Tax Digital sanctions for late submission and late payment' have been very mixed. Now the main bodies have published their responses to HMRC’s consultation it may be useful to see how their thoughts compare. A point given for each late submission. When the points reach a certain threshold a penalty would be charged. HMRC makes an automated review of each taxpayer on a regular basis. Notification given for each late submission. No penalty for first offence. Prompt after each failure for the taxpayer to provide a reasonable excuse for missing an obligation (if such an excuse exists). When the first failure happens the taxpayer is notified, no penalty is charged on condition that the outstanding submission within a specified time. If the condition is not met the penalty would be charged. If late a second time they could again be notified of their failure and given the opportunity to escape being charged a penalty in return for providing the outstanding submission within a specified time. The number of occasions on which a penalty would be suspended would need to be limited. HMRC proposes a limit of two times. Good compliance would be rewarded: after a period of sustained good compliance, penalties again should be suspended for initial failures before suspension is no longer available. The consultation also presupposes that penalty interest will replace penalties and surcharges for late payment, but this will actually be the subject of its own consultation later in the year. The ACCA does not seem to have published its response to the consultation. Why Liked the ability to appeal points as they arise, rather than just the end penalties. No penalty for first default The suspension element encourages taxpayers to correct their default – i.e. to actually file the late submission Simplest, fair, promptly encourages a return to compliance Points are straightforward and readily understood. A regular review should be easily automated and will help deal with varying needs. Interestingly, both the ICAEW and ATT “refused to dignify Model B with an answer” beyond their initial comments in the section on preferred solutions and did not respond to the detailed questions asked by HMRC (section 4 of the consultation). 2.1 Which of the three penalty models proposed (A - Points-based, B - Regular review of compliance, or C – Suspension of penalties) do you consider to be the best and why? As written, Model A is best, but could be improved by adding elements of C.
Particular note was made of the ability to appeal points as they arise, rather than just penalties. Model B was rejected as the penalties could arise long after the default. This would be less effective as the link between default and penalty would not be linked in the taxpayer’s mind. Model A has attractions – warning taxpayer to improve compliance. However, penalties need a shelf life to avoid significant gap between points and penalty. People understand the concepts of points: i.e. three points and a penalty. People need a regular review because we are human and have different needs and a modern tax administration with the aid of modern computing tools should be able to complete a regular review for every individual. 2.2 What are your views on the relative importance of the competing demands of fairness, simplicity and effectiveness? Hard to separate – fairness and simplicity will increase effectiveness. Taxpayers are unlikely to view any of the options as simple but will only need to consider them if they are late. Suspended penalties aid the message that HMRC wants the taxpayer to change behaviour; points send this message less forcefully. The warning needs to be effective – a note on the digital record is unlikely to be effective given the failure of the digital option. Simplicity is most important, then fairness. The system needs to be simple enough for taxpayers to understand and thus avoid penalties. This will increase effectiveness.IT should also be fair and seen to be fair, but no point if no one understands it. The majority of people who will be penalised will be unrespresented taxpayers: they need simplicity. HMRC needs effectiveness, and who does not wish for a fair system? 2.3 To what extent does each of the three penalty models strike an appropriate balance between fairness, simplicity and effectiveness? Effectiveness is the greatest differential between the models. A model incorporating elements of A and C is likely to strike the best balance – suspension encourages prompt rectification; points based does not penalise the first default. Model B is unlikely to be effective or seen as fair. Needs to be a penalty “cap” and an alternate approach for persistent offenders; especially if there is a common reason across taxes. Current regime is not fair as can be £1,600 penalty even if no tax is due. Model C will be simpler to understand and directly links late submission to conditions to avoid the penalty. Cumulative version is similar to the VAT regime, which is logical and well understood. We think that points are good because people can add up points and see how they stand. Regular review is not such a simple model as you need to fully understand it appreciate it and they may not grasp how it works. It took us several attempts to work it out and we are still now sure how it would work. HMRC need to know if the system is not working and if it is not working provide additional support. Suspension is a good idea but it becomes very complicated given the number of different filing obligations and interactions that you have with government. All late filings incur a point. A suspension condition is given. Fail that in any of the next three returns and receive a penalty. File successfully for the next three returns and the ‘slate is wiped clean’. Late again for three monthly/quarterly filings, same as above but the late filing penalty is tax geared. Annual submissions: notification if not received within 30 days. Suspension condition: file within the next 30 days. Failure to file = penalty. Do that the following year: penalty is doubled but review/suspension is the same. 3.1 Do you agree with these proposals for the duration of the required good compliance periods? The ICAEW views the periods as reasonable, but would need to cater for taxpayers who move between categories. The goal of harmonising the regimes should be borne in mind. For artificial persons the points should be reset on a change of control. The lack of a “shelf life” for points is a major limitation and should be reconsidered. As it stands, it is possible for an occasionally non-compliant taxpayer (4/16) have a penalty, whereas a regular non-complier (8/16) does not. Yes but only if there is full back up and education to assist and that HMRC really understands why the failure exists. 3.2 Could any changes be made to the points-based penalty model to make it fairer, simpler or more effective? It is unclear how Model A works where a taxpayer has multiple filing obligations (e.g. trade and rental) and thus more penalty exposure. CIoT suggest that each set of obligations be considered separately so they have more chance to become compliant. There is no incentive to file an overdue submission; the model thus needs some form of “escalation”. We quite like our model above. We found the graphics hard to understand: would other people find the same thing? Also HMRC has a habit of sending out emails that say things like ‘You are late’ and then you look only and you cannot find out what on earth you are late for. Better more specific messages at least giving the full tax payer name and UTR would be good. 4.1 What are your views on the timing of the review? You should review earlier, every 3 returns for monthly or quarterly, for MTD this will need two reviews: one for quarterly submissions and one for the EOPS. 4.2 Which of these three options for customers within Making Tax Digital for Business do you think is the most appropriate? 4.3 Do you agree this would be a proportionate response to occasional lateness that lasted just a short time? The ICAEW does note this does not fit well with annual submission obligations. 4.4 Could any changes be made to the regular review of compliance model to make it fairer, simpler or more effective? The review needs to be totally transparent so that taxpayers know where they are. We like the combination of all three models. 5.1 Do you agree that improved compliance should be recognised? Is there a better alternative for recognising it? Yes. “Wiping the slate clean” after a period could help encourage this. No, compliance is compliance. The default is that everyone complies. You could offer a discount on penalties for someone with a good track record. The trouble is that so many people find online and computers very tricky. 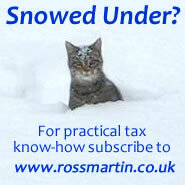 Unless you are loging in and out with HMRC all the time the whole process can be baffling. 5.2 Could any changes be made to the suspension model to make it fairer, simpler or more effective? We like the idea of linking it into a points/review system. That feels fairer and more like HMRC is trying to education and not just penalise. We are not keen to charge a penalty when there is no actual tax lost. We have been reviewing the late filing penalties under SA and we think that some of the penalties are totally disproportionate to the offence and very hard on the ‘just about managing’. We think that you need to review what has happened the penalties under PAYE RTI. We would guess that many employers are still struggling with that be it in making submissions or paying their taxes on time. Perhaps the way to do MTD is to have a pilot of VAT registered businesses for a couple of years and then test penalties on them. When that is up and running then introduce MTD for smaller businesses. Perhaps you need a lighter touch for unrepresented taxpayers as presumably the £8billion tax gap is mainly due to them and not those who are using agents. We found the graphics in this hard to understand, and it is going to be muddling when you are filing quarterly and then in later period, well after the year end filing your EOPS. Why is the EOPS not simply a tax return, when an EOPS is quite frankly just a tax return. People will be worried about their obligations and moving from a single filing once a year to a system where you file five returns a year is going to be very very difficult for many people. When you are in the job that we are all in we know that we can cope with IT. For many people computers are not a necessity. We had a case the other day when someone ran their payroll on an App. They thought that this was all they had to do and then was very shocked to find that it was not automatically reporting to HMRC. At present all the Apps and bookkeeping systems for MTD are way too complicated. The penalty system needs to be really really simple. The system should encourage time to pay agreements even after the original due date. Suspension of penalty interest wile an arrangement is in place would incentivise this.